Dress Neatly– Always wear clean, neat clothing. You do not have to appear in a three piece suit, but you should wear more formal clothing. For men, it is appropriate to appear in a button down shirt and a pair of slacks. A tie is optional. For women, a nice blouse with a skirt or dress paints is appropriate. Always Be Honest– Probably the most important rule of any deposition is to always be completely honest when testifying. No matter how bad or damaging your testimony may be, lying is always much worse. Opposing counsel always will know if you are lying or will find out before trial. And once it has been showed that you lied about one thing, a jury will never believe another word out of your mouth. Be Sure You Heard and Understood the Whole Question– Lawyers are notorious for asking complicated questions. At times, even the lawyer asking the question is confused by the question. It is very important that you make sure that you hear and understand every question before you answer. Remember, a court reporter is typing out every word said during the deposition, and if you answer a question that you did not hear or fully understand, the court reporter will type out your answer. Later when the transcript is read, it will appear that you heard and fully understood the question. 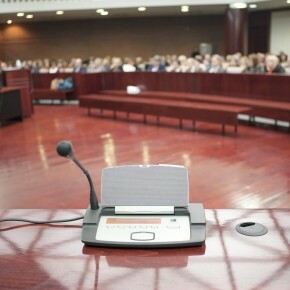 There are no qualifiers, such as “the witness looked confused and then said:…”, in a deposition transcript. If you don’t hear or understand a question, ask the lawyer to repeat it or rephrase it until you do fully hear and understand the question. Only Answer the Question Being Asked– This is a tough one for a lot of deponents. People, by their very nature, like to talk. But when you are being deposed, you have to keep your answers short and to the point. If the question is a yes or no question, then your answer should be a simple yes or no. Let the lawyers deposing you use follow up questions if they want more information. Talking too much will make your deposition take longer than it needs to, and it may open you up to a whole new line of questioning that opposing counsel never intended until you provided the additional information. Don’t Guess– If you do not know the answer to a question, then your answer should be “I don’t know” or “I don’t recall”. 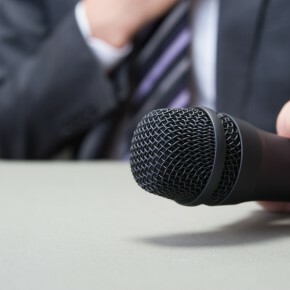 You should never guess when answering questions during a deposition. Be professional– Depositions can be long, uncomfortable, and at times confrontational. Sometimes opposing counsel is trying to push buttons to see what they have to do to make you look foolish, so they can make you look foolish to a jury later at trial. Don’t let that happen to you. No matter how angry opposing counsel is making you feel, don’t let them know it. Always be professional and courteous in your answers to the questions. Use terms like “Yes, sir/ma’am” and “No, sir/ma’am”. Never use swear words, name calling, or offensive language when responding to a question.